On April 6th, legislators and NDA members attended a legislative breakfast thanking those legislators that helped pass legislation that would benefit dyslexics. Dr. Eileen Vautravers gave details of dyslexia and its myths and why there was a need for legislation. On March 5th, members of the NDA board gave a day long presentation to teachers and administrators at ESU 6 in Milford. 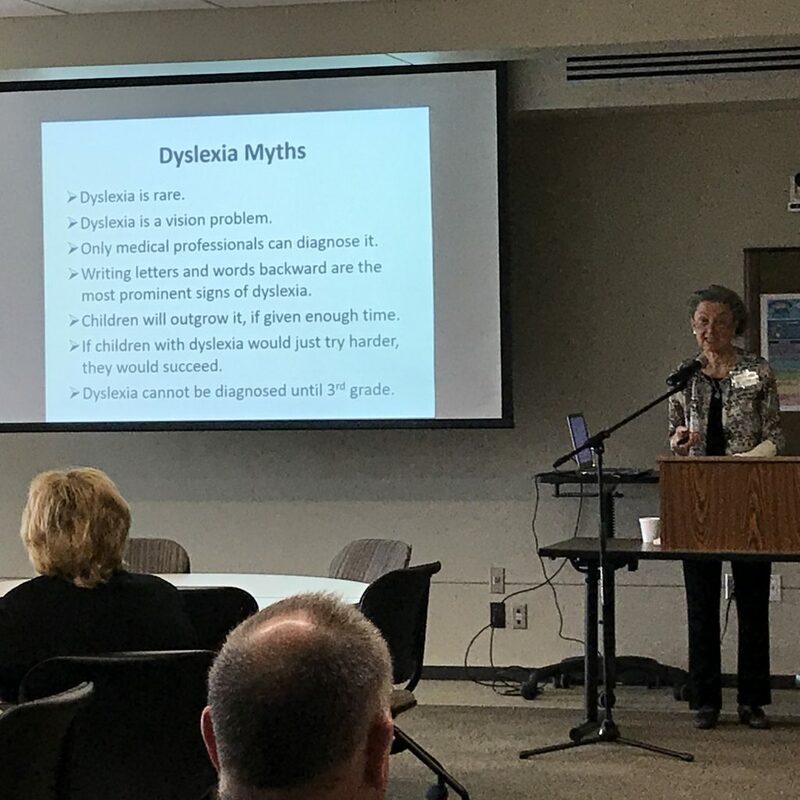 Eileen Vautravers presented on the definition and characteristics of dyslexia as well as the incidence and associated conditions that can occur. Kathy Johnson presented on the need for teaching students with dyslexia using a multi-sensory, structured literacy method. She also discussed the need for screenings. Carolyn Brandle concluded the day addressing the rules of the English language and syllable division. The evaluations were very positive with an overwhelming response for wanting to learn more.